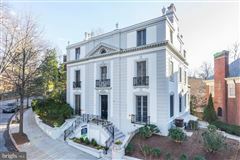 Perched atop Rock Creek Park, 84 Kalorama Circle offers sweeping views of the park and Taft Bridge. 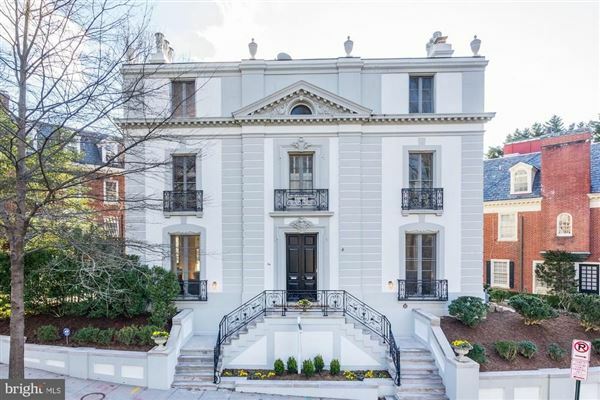 An elegant European-style home with four finished levels, featuring over 6,000 square feet of gracious living space, embassy sized rooms on the first floor and spacious living quarters upstairs. 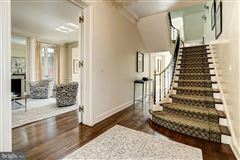 Built in 1925, the interior of this property has high ceilings and exquisite architectural detailing. An elevator services the garage, 1st and 2nd floors.